(Click title for original article). Promotors of the Dublin Bay Incinerator on Sandymount Strand at Poolbeg. "Soon after the £32m plant opened in 2002, neighbouring residents complained of odours coming from it. " >>> DCC's Sewage Factory has generated best-available-technology odours since 2003 and now requires an extra €36 million of taxpayer cash. Homer would not employ this management culture. "It was temporarily shut down for environmental breaches in 2003"
"and later damaged by fire". >>> In 2007, residents were advised to tape their windows and to venture outdoors only if necessary, following a massive fire at a Waste-To-Toxics incinerator located south of Boston, Massachusets. Housewives or househusbands were blamed by a city official or perhaps by the incinerator's management for sending the wrong kind of thrash. Luckily there was no snow of the wrong type on the tracks nor any illegal radioactive waste. Or was there? Nobody knows says Homer. Apparently asking the truck drivers for an ID did not work - the strategy to prevent illegal or dangerous toxins being incinerated, as outlined by Dong's Senior Engineer at The Bord Pleanala Oral Hearing. Locals claimed explosions are fairly common at the incinerator and can shake local houses - an official dismissed this saying the explosions are fewer than once a month. "“The council is seeking damages following the failure of the materials recycling and energy centre to achieve anything like its contracted performance levels, particularly in terms of diverting waste from landfill, recycling and the production of compost.”"
>>> Covanta, Florida: A Decade of Lawsuits. Recycling Undermined. "But local authorities, who point out the incinerator has to comply with emission standards,... "
Were any environmental standards enforced at Cork shipyard? It seems to be full of deadly Chromium Six. The Director of EPA-Ireland (apparently at the time when papers were issued wrt Cork) is now a paid contractor promoting waste-to-toxics incineration for American offshore entities. This ethics issue is apparently kept quiet - by a company using different aliases, apparently. Google The Sunday Business Post and the Irish Independent to gain more background on EPA-Ireland. Jul 12 2008 by Martin Shipton, Western Mail, Wales. WalesOnline, the best source for Welsh news, sport, business and entertainment. Powered by the Western Mail, South Wales Echo, Wales on Sunday and Celtic Weekly Newspapers. Produced by Media Wales Ltd.
A LOCAL authority has launched a £54m lawsuit over a troubled waste plant that was once hailed as a model for the whole of the UK. Neath Port Talbot Council has issued a High Court writ against two dormant companies in the Currie & Brown Group, which offered technical advice over the project at Crymlyn Burrows, near Neath. It is one of the largest sums ever claimed in litigation relating to the construction industry. Soon after the £32m plant opened in 2002, neighbouring residents complained of odours coming from it. It was temporarily shut down for environmental breaches in 2003, and later damaged by fire. The defendants in the action are Currie & Brown Project Management and Currie & Brown Consulting, both of which are dormant companies. Currie & Brown Project Management produced a technical due diligence report on the project for investors in 2000. Currie & Brown Consulting was appointed technical adviser to the investors in 2000 and the division was also appointed technical adviser to the council in 2002. The case is scheduled for April 2009 and will be tried in Bristol by a High Court judge. A spokeswoman for Currie & Brown confirmed the two companies in the group were facing a £54m claim from the council. In May it emerged that Neath Port Talbot Council was suing neighbouring Bridgend Council for around £5m in connection with problems relating to the plant, which is officially described as Crymlyn Burrows Materials Recovery and Energy Centre. Domestic rubbish from both council areas is disposed of at the plant, which processes material for recycling and incinerates other waste. It is understood that during legal arguments between the two local authorities, Neath Port Talbot threatened to ban Bridgend from sending waste to the plant. The Crymlyn Burrows waste processing plant has been controversial since before it opened in 2002. 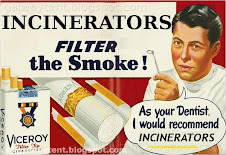 Residents opposed it on health grounds, claiming there was no truly safe limit for the dioxins emitted by the incinerator. Dioxins are associated with birth defects, heart disease, infertility, respiratory problems and cancers. But local authorities, who point out the incinerator has to comply with emission standards, saw it as a way to reduce the amount of waste sent to landfill in advance of targets set by the European Commission in 2010. From the outset the plant processed around 150,000 tonnes of domestic refuse a year from Neath Port Talbot and Bridgend. The plant was built and initially run by Portuguese operator HLC, but in 2005 Neath Port Talbot Council pulled the plug on HLC Neath Port Talbot after the firm went into administration. Neath Port Talbot Council took over running the plant and in 2006 it was reported losses totalling more than £67m could accrue over 25 years unless a new operating partner was found. A legal tug-of-war ensued between the council and HLC’s creditor, the Royal Bank of Scotland, which was seeking to recoup some of its £40m debt with the plant’s assets. The dispute was settled out of court in November 2006, putting the plant firmly in the hands of Neath Port Talbot Council. Early last year, Neath Port Talbot and Bridgend councils said they were planning to award a new 25-year contract for operating the facility. 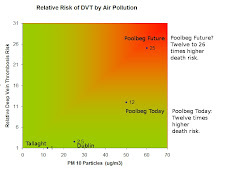 Ringsend Health Impact Big Lies? The Irish Times Swallows Press Releases? Is EPA-Ireland Inside The Galway Tent? EPA Uses Political Science - Not Medical Science. Covanta Alias is Energy Answers?